No matter who is elected, the next president faces some stark energy choices in the years ahead. Photos courtesy of Los Alamos National Laboratory and Lawrence Berkeley National Laboratory. Donald Trump's presidential campaign has vowed to rescind the Clean Power Plan, exit the Paris deal and end the "war on coal" as early as his first day in office. The Republican candidate's promises foretell a definitive reversal of domestic and international efforts at slowing climate change. The road, however, would be plagued with legal, regulatory and practical complications. As a final regulation, rescinding or revising the Clean Power Plan would be "no small feat, given robust administrative record, particularly for rules that survived judicial challenges," according to the consulting firm ClearView Energy Partners LLC. The process could take more than two years. Trump could also encourage Congress to pass laws gutting the underlying statute for the Clean Power Plan, the Clean Air Act. If legal challenges send the Clean Power Plan to the Supreme Court, Trump could also appoint a nominee who might sway the bench against the rule. Some suggest Trump could simply walk away from the Paris deal, which calls on nearly 200 nations to curb emissions and officially took force Nov. 4. Others say he could rescind an executive order on it. Trump's energy adviser, Rep. Kevin Cramer (R-N.D.), has said he could also bring it up for a ratification vote in the Senate, which a GOP-controlled chamber would be certain to vote against. That plan, however, would also depend on the makeup of the Senate (ClimateWire, Oct. 26). ClearView's Trump scenario assumes he would "discretionarily enforce finished regulations, delay or weaken unfinished regulations and rescind Executive Orders and guidance to regulatory agencies, likely slowing the pace — if not necessarily the direction — of the Obama Administration's 'greening up' and 'tightening up,'" ClearView said. As important is what Trump would not do. While fighting environmental groups' legal challenges during an attempt to roll back some existing regulations, Trump would not pursue new ones for methane emissions from oil and gas sources or carbon emissions from petroleum refining and other industrial sectors (see related story). Even if federal action on emissions slowed, however, many states would still pursue reductions. 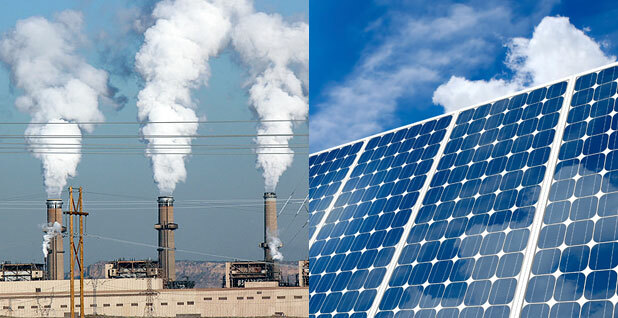 Trends in the electricity sector would continue to push carbon levels down. Corporations would not stop their campaigns for cleaner power and the more efficient use of energy. The coal industry would not come back, despite Trump's promises (ClimateWire, May 10). Already, the United States has reached the 27 percent mark of the 32 percent reduction the Clean Power Plan seeks between 2005 and 2030, according to EIA numbers touted by Hillary Clinton's campaign. Still, the United States would likely not meet its current goals. Most environmental groups declined to comment on what they would expect under a Trump presidency. Brendan Cummings, conservation director at the Center for Biological Diversity, said one thing is certain: lawsuits. "Odds are good that there will be litigation under either administration," Cummings said. "The next president will take office at a crucial time when strong steps are urgently needed to protect our planet from a climate catastrophe." Cummings expects "cases against the Clinton administration to spur quicker climate action or suits against the Trump administration to prevent policy rollbacks and continue the fight to curb carbon pollution and leave dirty fossil fuels in the ground." Jamie Henn, a spokesperson for 350 Action, said the group would partner with other progressives to organize "massive resistance to Trump policies across the board, including on climate." "Setting aside the insanity of this current political moment, environmental protection, clean energy and climate action still remain hugely popular," Henn said. "President Trump would see a huge and well-organized backlash against any attempts to dismantle environmental policy and defund the EPA."